Please join us for our October luncheon! Guests and non-members welcome. Our guest speaker this month is Nicola Balkind, Community Ambassador for Yelp in Fresno. Hawaiian BBQ chicken and sweet-n-sour meatballs, garden w/basil ranch salad, assorted cheesecakes, water & tea. Please register online by Friday, October 19th. No-shows or cancellations made after that date will still be responsible for the lunch payment. Questions? Contact us at info@fcwcc.org. ** Join us 30 minutes prior to the start of the luncheon to learn about the benefits of being a FCWCC member. Longtime members, new members or prospective members welcome. Make sure you're getting the most out of your membership! No RSVP needed. 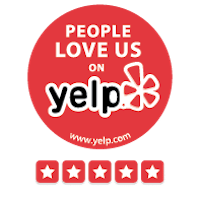 Nicola Balkind is the Community Ambassador for Yelp in Fresno. Originally from Scotland, she is Fresno Yelpers' go-to for all things Yelpy in the San Joaquin Valley – especially if it involves books, yoga, or eating out.